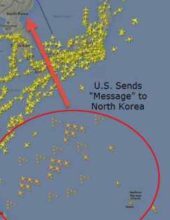 In response to the rising belligerence by North Korea, and its increasingly more frequent rocket launches, U.S. and South Korean troops staged a massive amphibious landing exercise Saturday, storming simulated North Korean beach defenses amid and threats by Pyongyang to annihilate its enemies. 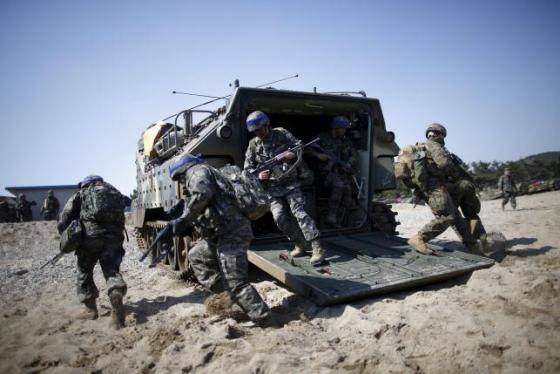 The landing and assault drills on South Korea’s east coast were part of eight weeks of joint exercises between the allies which the South has said are the largest ever. As Reuters reports, the North has denounced the exercises as “nuclear war moves” and threatened to respond with an all-out offensive. The clip below shows the large joint amphibious landing exercise near Pohang on Saturday, simulating an assault on a mock North Korean beach. The exercise involved around 30 US and South Korean ships, carrying over 50 marine aircraft, and numerous amphibious armoured personnel carriers. “We sincerely believe in peace through strength. 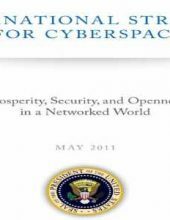 And it is in our strength of our alliance that we believe that we can deter and avoid war,” stated U.S. Marine Corps Brig. General John Jansen in a statement to the press. 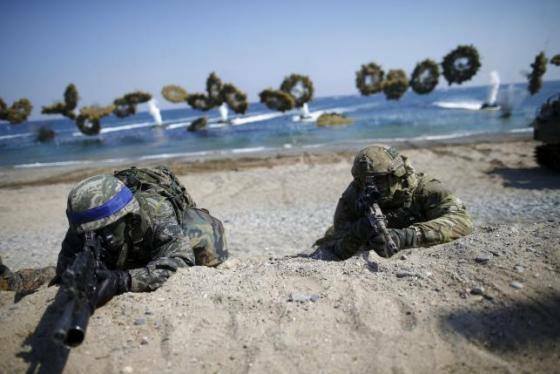 “They will penetrate notional enemy beach defenses, establish a beach head, and rapidly transition forces and sustainment ashore,” the U.S. military based in South Korea said in a statement before the exercise. Meanwhile, the increasingly irrational North’s military said it was prepared to counter the U.S. and South Korean forces “with an ultra-precision blitzkrieg strike of the Korean style”. 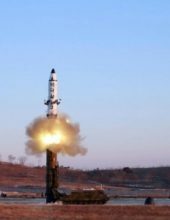 “The revolutionary armed forces of the DPRK holding tightly the arms to annihilate the enemies with towering hatred for them are waiting for the dignified Supreme Command to issue an order to launch a preemptive strike of justice,” it said in comments carried by the state KCNA news agency. 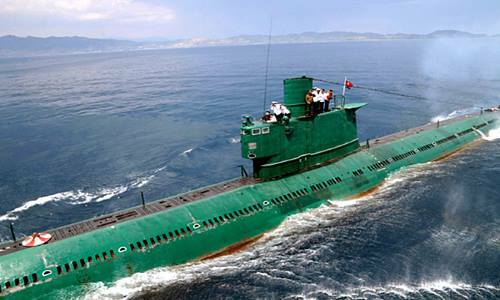 While anyone will hardly lose sleep over yet another threat by North Korea, a more troubling development emerged on Saturday when CNN reported that North Korea has been searching for one of its submarines that has been missing for days off its east coast. 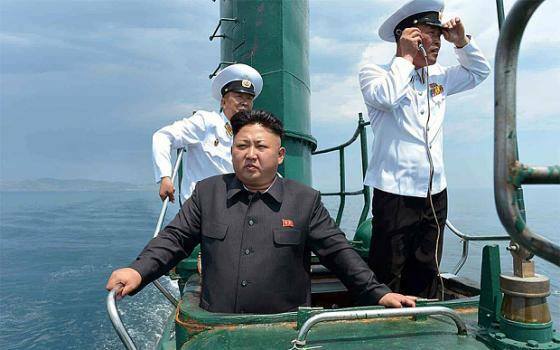 The submarine may be adrift under the sea or have sunk, perhaps after a technical problem during an exercise, CNN quoted U.S. officials with intelligence of secret U.S. monitoring of the North’s activities as saying. 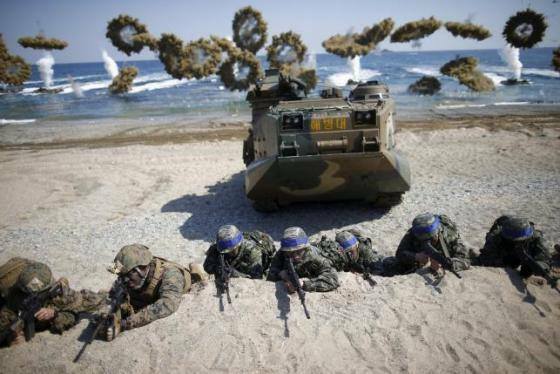 A South Korean defence ministry told AFP Seoul was investigating the reports. Pentagon officials declined to comment on the matter. The US military had been observing the submarine off the North’s eastern coast, CNN said, citing three US officials familiar with the incident. 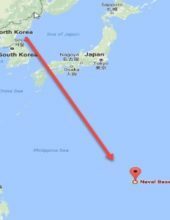 As the Telegraph adds, the US Naval Institute (USNI) News said the submarine was presumed sunk. “The speculation is that it sank”, an unidentified US official was quoted as telling the USNI News.